Steve Jobs is now part of the collection of wax figures of Madame Tussauds. The museum has invested more than $ 200,000 to recreate the figure of Apple co-founder, down to the smallest detail. After hours of studying public appearances Apple guru, artists have reflected each of their muscles and even your more typical pose. To recreate the figure of Steve Jobs, the artists have used the same techniques employed by Madame Tussauds 200 years ago and even the hairs of the figure have been inserted by hand one by one. The piece and can be accessed at Madame Tussauds Hong Kong until 26 November. After a tour that will begin to Jobs' wax figure at Madame Tussauds museums in Shanghai and Bangkok. It is a tribute to Jobs on the first anniversary of his death. 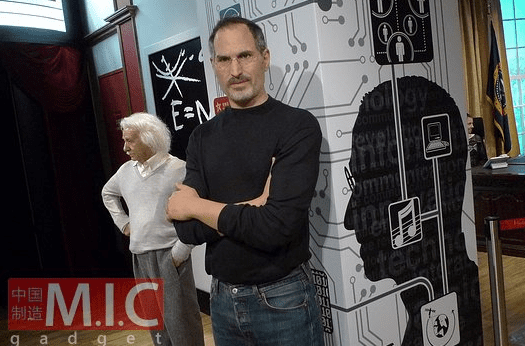 Article Steve Jobs already has his wax figure at Madame Tussauds Hong Kong has been originally published in News iPhone .